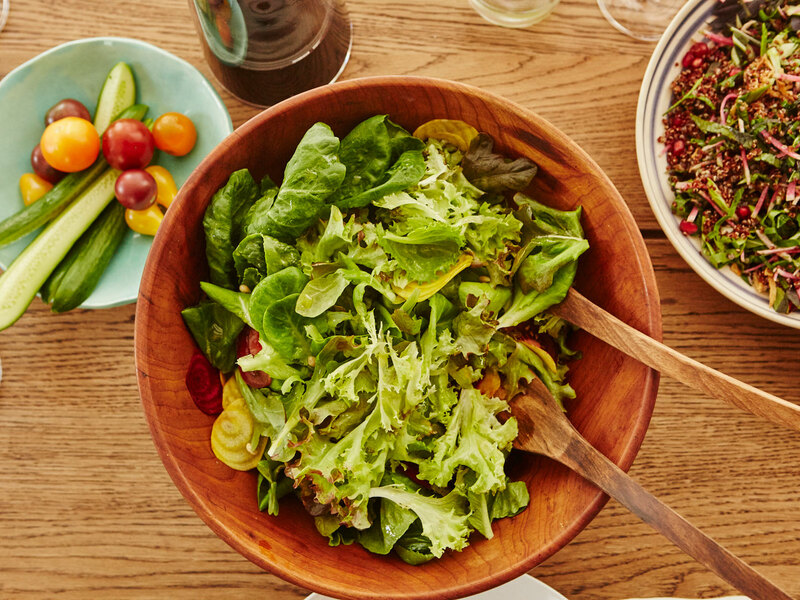 The Tom Colicchio-backed farm is bringing the movement to new heights. Just eight miles from the hustle and bustle of New York City, in a warehouse that looks like any other in Kearny, New Jersey, is Bowery Farming, where farmers grow leafy greens and herbs indoors, to sell at Whole Foods and NYC restaurants. “Bowery is a modern farming company on a mission to grow food for a better future,” co-founder and CEO Irving Fain says. It does so, Fain says, by “combining the benefits of the best local farms with advances in technology,” including its proprietary BoweryOS, which Fain has aptly dubbed the “brain of our farms.” BoweryOS uses a “network of sensors and cameras throughout our farms to collect millions of points of data in real-time,” Fain says, and with the system’s 24/7 monitoring, it makes “automatic adjustments to environmental conditions to improve crop quality, health, yield, and flavor” of herbs and greens, Fain says. To get its kale less chalky, for example, Bowery Farming uses its software system “to tweak certain variables such as nutrients and light intensity,” Fain explains. Chefs and restaurateurs are taking note. Tom Colicchio, for one, was an early investor in the farm, and uses its greens at his NYC restaurant Temple Court (previously Fowler & Wells). Using the software to tweak nutrients and light isn't the only benefit of Bowery's set-up, however. The contained environment allows for 365 days of growing in perfect conditions. They don't use any pesticides and, according to Fain, "95 percent less water than traditional agriculture, all while remaining 100-plus times more productive on the same footprint of land.” Impressive. Morich, who is part of a team of 28 people, collects data on the crops the farm is harvesting that day, and tracks the progress of other crops in varying stages of growth. By 3 p.m., Morich is done for the day, but must confirm—through the BoweryOS—that she has completed the system’s checklist before she can leave. And “even though I leave at 3 p.m., the thing about our farm is that it runs 24/7, unlike traditional farming,” Morich says. 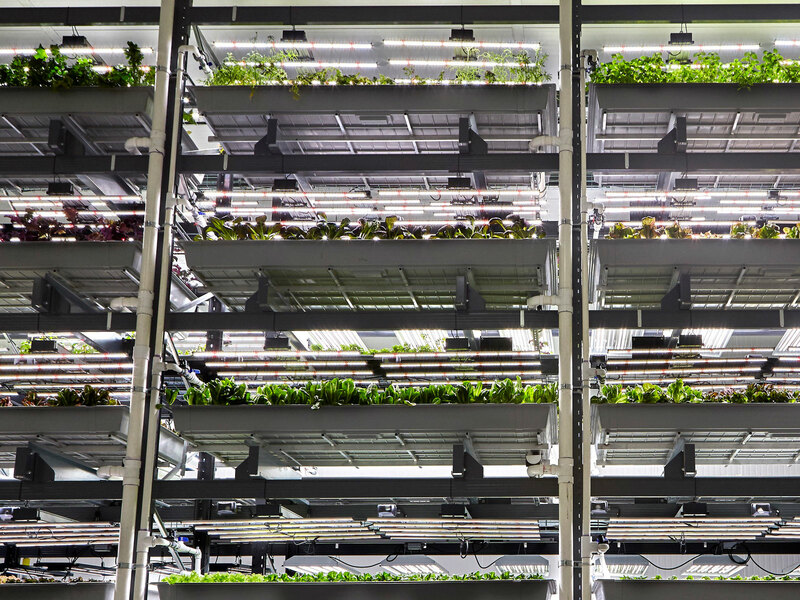 Indoor and Vertical farming as a category is exploding, especially—and perhaps unexpectedly—in and around New York City. 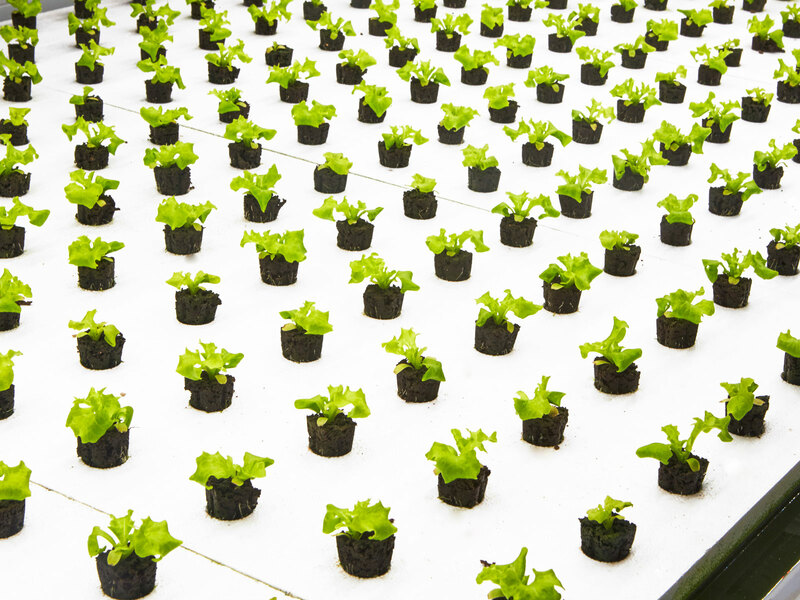 (The short growing season, coupled with the high demand from restaurants, actually makes it quite fertile ground for indoor farms.) For Bowery, that means expanding into a new, larger location that will open this summer. “This farm will be the most technologically-sophisticated commercial indoor farm in the world,” Fain promises, “and will grow 30 times more produce than our current farm.” Though Fain is keeping most of the details under wraps, he adds “we’ve started experimenting with over 100 types of produce and plan to expand our offerings in the near future,” he says.